This post first appeared at Small Precautions. Writing across all the many decades in which development has mattered, including not just the “high modernist” early cold war years and back into the interwar period, but indeed much further back into the nineteenth and even eighteenth centuries, as well as looking forward to how development practitioners have envisioned various long-term (global and local) futures, some running into the 22nd century and beyond. 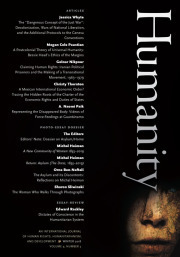 Such a complete global history of development would have be methodologically omnivorous, indeed totalizing – drawing on diplomatic, economic, environmental, political, social, intellectual, and cultural history methods – which, done correctly, would require also pulling techniques and knowledge from geography and anthropology, from political science and economics, from psychology and sociology – using diverse materials as evidence. Considering the scale of this, we may well ask: could even a Fernand Braudel take on such a synthetic task? Or, instead, is the historiography of development doomed to forever being a patchwork? Is there a reason the “global history of development” has to consist of a single work, authored by a single person. Even as an edited volume many of those goals could be achieved – at least for some arguably representative examples – as a subfield, all of them could. Please do watch my video on TEN COMMANDMENTS OF HUMANITY and let me know your comments and if possible please do subscribe it.